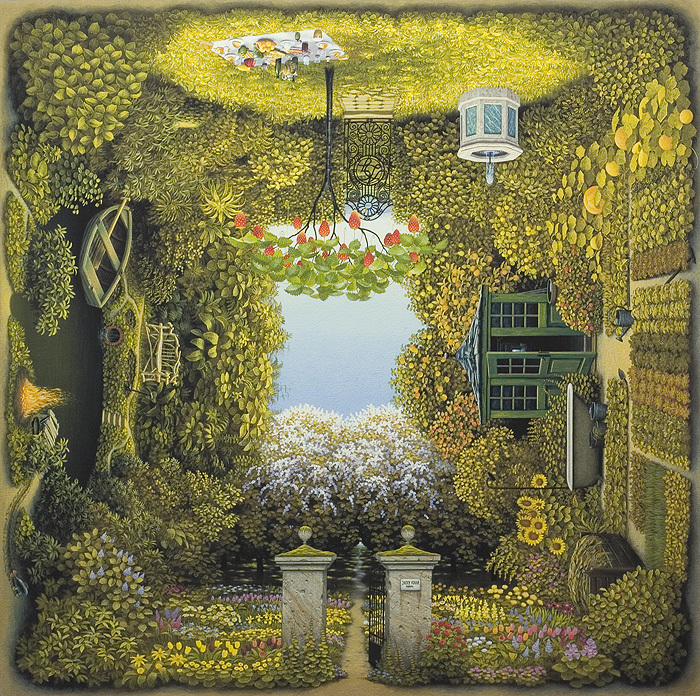 Jacek Yerka was born in Toruń, Poland, in 1952. 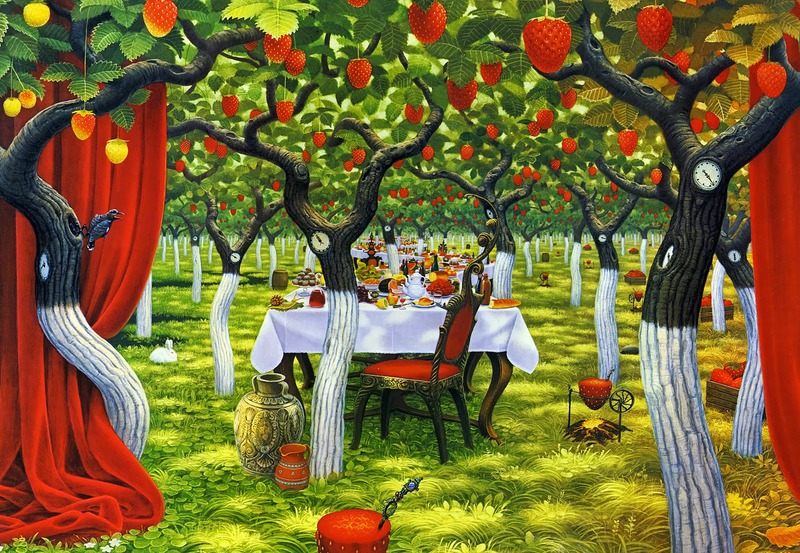 Yerka studied fine art and graphics prior to becoming a full-time artist in 1980. 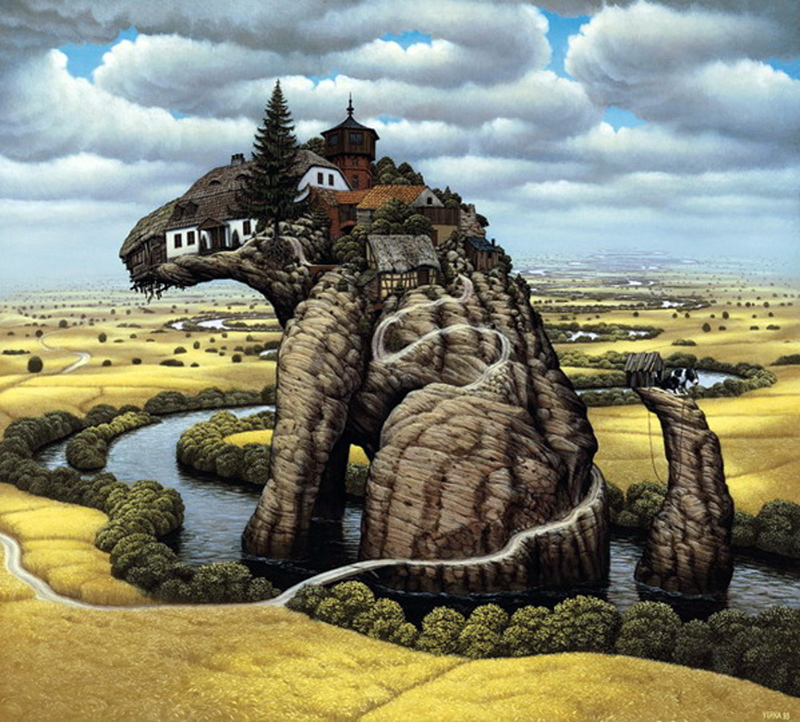 As a child, Yerka loved to draw and make sculptures. He hated playing outside, and preferred to sit down with a pencil, creating and exploring his own world. 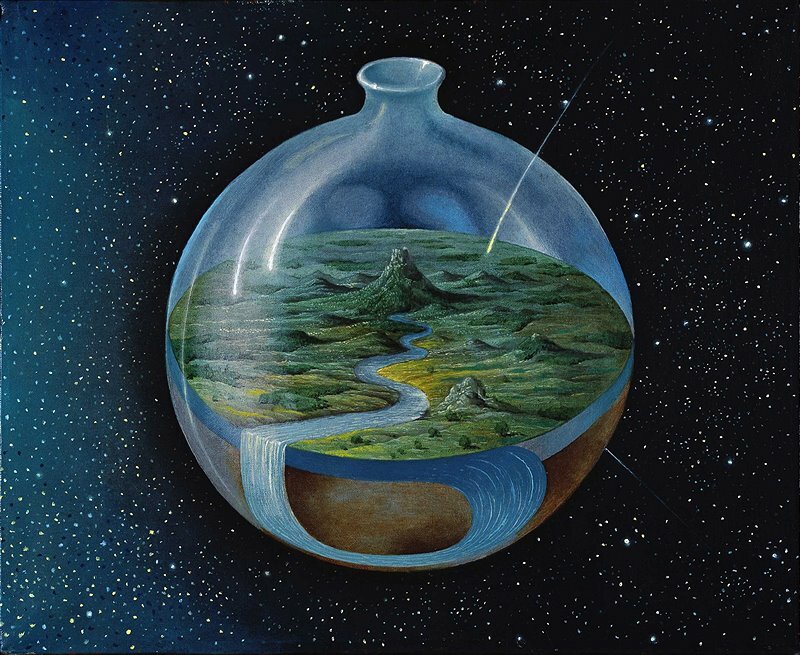 Yerka resisted pressures of his instructors to adopt the less detailed techniques of contemporary art and continued to work in the classic, meticulous Flemish style he still favors to this day. 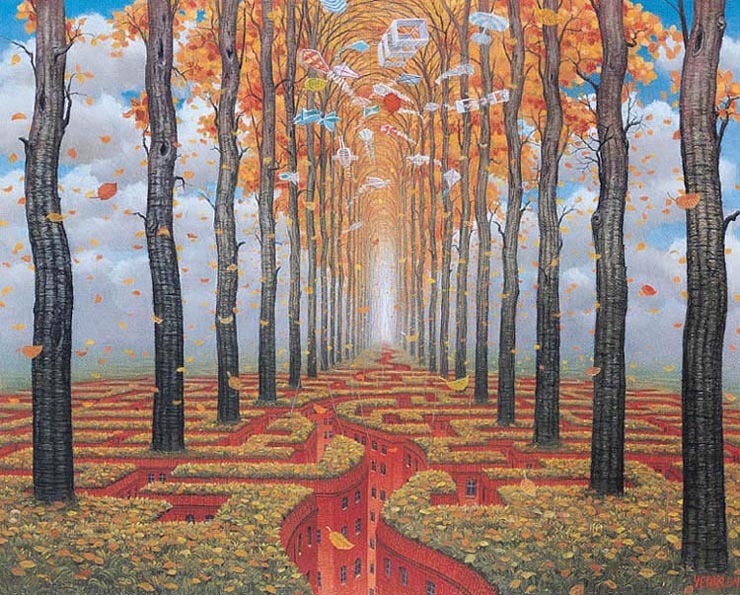 He creates surrealistic compositions Based on precise painting techniques, taking pattern from former masters like Jan van Eyck or Hieronymus Bosch. 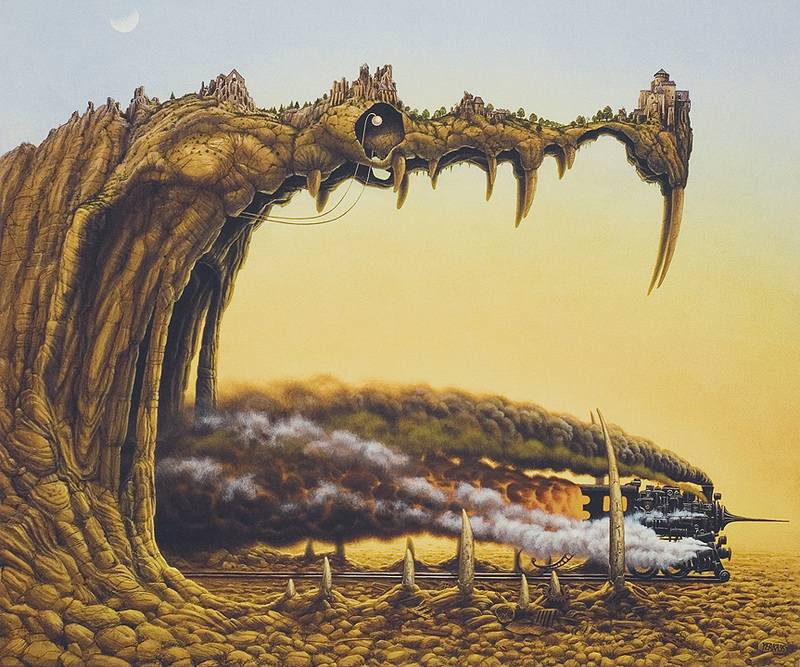 Like many artists, Yerka pulls on thoughts and memories of his past to create these marvelous artworks. 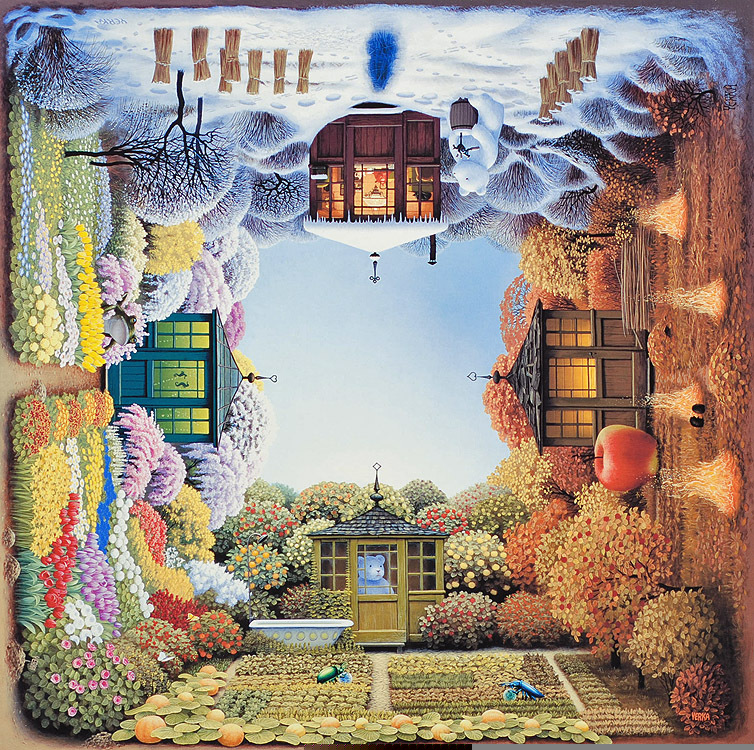 Yerka’s carefully rendered paintings (acrylics on canvas) are filled with images from the artist’s childhood, one heavily influenced by the surroundings of his home during the 1950’s, and his grandmother’s kitchen, where he spent much of his time. 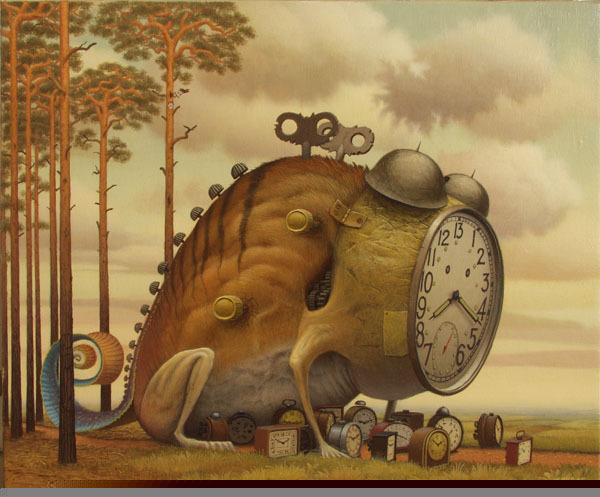 More of Jacek Yerka‘s wonderful art can be found at the Morpheus Gallery and at his website http://www.yerkaland.com/. Great pictures! These are amazing! Thank you! 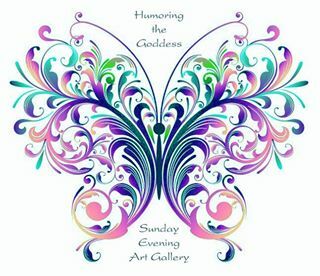 I am humbled by the talent I find in this world.